We have been trained all our lives to do things on our own. When we were babies our parents would teach us how to do the basic things for us to be independent when we grow up. Eventually, we do the same things to our own kids. Can you imagine if all of this independence will be taken away from us by aging? As we age, our actions may be limited. We might have to abstain from eating our favorite sweets because it could cause our blood sugar to go up. We may have to avoid doing strenuous workouts because it can strain the muscle. At 24 Hours Care, In-Home Care in Newton MA, our main goal is promoting seniors’ independence. 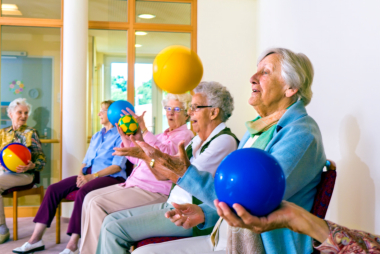 What do we exactly mean by independent senior living? It generally means giving the seniors the chance to be on their own despite aging. 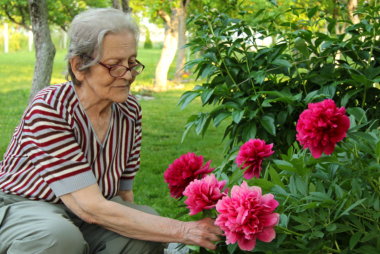 For seniors, it is an achievement to be able to stand on their own during their golden years. This means they can prepare their own meal, clean the house, regularly take medication, and live life to the fullest without any help. However, let’s admit that over time, we would need someone to look after us. Not because we are weak, but because our health requires a different level of care. 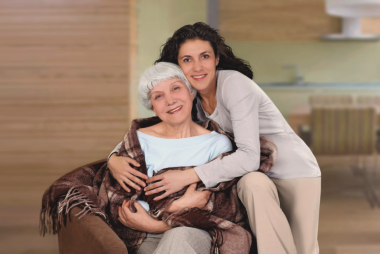 Thus, it is important that we get a personal caregiver who can provide our basic needs. This does not mean that we are overtaking your seniors’ lives. We just want to make sure that they are living comfortably. A typical day at 24 Hours Care, a trusted name in Home Health Care Services, we would often prepare a care plan that is responsive to the needs of the patient. If our job is just to assist in doing light housekeeping, meal preparation, or even just reminding them of their medication, we make sure that we are able to serve them better. Letting our seniors feel that they are not totally impaired from doing what they are used to is important. It does not only keep them healthy but it makes them emotionally positive as well. For more information about our home care services and caregivers, you can check our website at www.24hourscare.com or call us at 617-792-0500. 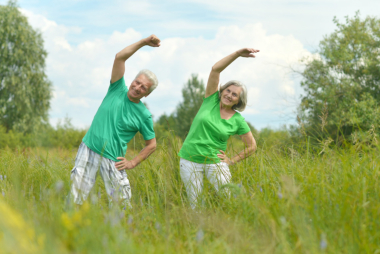 If you are interested in maintaining your youth as you grow older, there are many things you can actually do, such as exercise. However, one of the most effective methods that you can do without ever leaving the comfort of your home is to improve your diet. Eating healthier food is extremely important if you want to improve your lifestyle. 24 Hours Care is a provider of in home care in Newton, MA that can even help improve your diet! Through our home care services, we can help you improve your health by doing your grocery shopping and preparing your meals. This means we can get healthy ingredients to cook food that is not only delicious but very nutritious as well. This alone can help you feel younger and better than ever! An Improved Immune System: One of the main reasons why you will want to improve your diet is to improve your immune system. 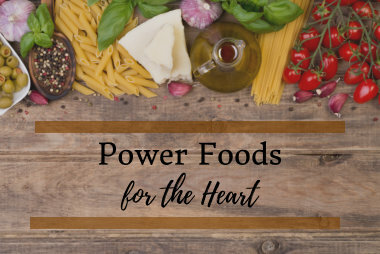 Eating right will not only make it harder for you to fall ill to common diseases such as the flu or the cold, but it can also protect you against very serious health conditions like cancer, Alzheimer’s, dementia, heart disease, stroke, heart attack, and more. This reason alone is more than enough to consider changing your diet! The Feeling of Being Younger: Another reason why you will want to improve your diet is because it can help you feel and look younger. The reason behind this is because when you switch out junk food and replace it with healthier alternatives, you are providing your body with better fuel. Just like how a car runs better on cleaner gasoline, your bodies will work better on healthier food. You will have much more energy, you will feel stronger, your mind will feel sharper, and you will even feel happier. A good diet can change your life for the better, which is why it is so important to consider healthier alternatives the next time you sit down for a meal. Through our professional home health care services, we can make eating right as convenient as possible. 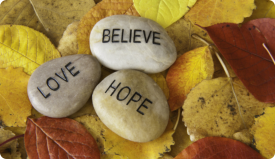 Allow us to help you live a better life today by visiting our website at www.24hourscare.com. Helping you maintain a balanced diet is part of our responsibility as your care providers. We look forward to caring for you soon. Home care services can provide numerous benefits of elderly individuals looking to live a more stress-free and convenient life, right in the comfort of their own home. 24 Hours Care is a recognized provider of in-home care in Newton, MA that is committed to helping you live a better life through personalized care services. Around the Clock: We offer our services around the clock. This means 24 hours a day, 7 days a week, and 365 days a year. You can enjoy our support no matter what because we are always here to serve you to the best of our ability. Personalized Services: We personalize our services to meet your exact needs because we understand that everyone is different and will require different kinds of services on a daily basis. This is to ensure that you have what you need to continue living life on your own terms. More Time: Since we are handling many things in the home for you, this means you will have much more time and energy to focus on what you love. You no longer have to worry about issues like running errands, doing grocery shopping, cleaning the house, or even preparing meals because we have got it handled for you. Better Health: We offer exceptional home health care services as well. We can help you maintain and improve your health right at home. You do not have to go to a hospital or a clinic to receive the skilled nursing services you need. We also offer many health-related services such as pain management, medication administration, vital sign monitoring, IV therapy, and more. When you are at an advanced age, it is time to start considering professional help because the structured support lets you focus more on doing what you enjoy. Because we have your back when it comes to managing your health, you worry less about the small things in life, thereby giving you the opportunity to appreciate the bigger picture. A healthy mind and body is the secret to a long life. When we keep ourselves busy every day, our brain works consistently so it would take time before it gets dull. Also, our bones and muscles feel strong whenever we always use them. But how do we keep our mind and body active? Here are some of the hobbies which 24 Hours Care, provider of In Home Care in Newton MA, suggests we engage in. Visiting and exploring new places can make us feel relaxed and satisfied. It gives our minds a break from all problems at home or at work. But the best time to travel is after retirement- the time when you do not have work to think about or problems with kids anymore. Besides, traveling abroad does not cost as much as it did before anymore. The most fulfilling activity we could engage into is doing volunteer work in nearby centers or organizations. This activity will not just benefit us but it can also change our lives in a good way. Since we always make our jobs as an excuse why we do not volunteer, we no longer have any escape for not helping our community after we retire. Also known for being a therapeutic hobby, cooking will not just fill our souls but also our tummies. We can start with reading cooking books and magazines. Since we would have plenty of time after our retirement day comes, we could experiment and create new recipes. Who knows, we can also transform these experiments into a business. Growing plants in our own backyards and even inside our homes could provide us numerous benefits such as encouraging our motor skills, increasing our flexibility, and promoting relaxation. By witnessing a new life turn into something beautiful, our bodies feel positive vibes which keeps it healthy. Creating arts and doing crafts. Although this hobby is more popular to women, some arts and crafts activities could also be pleasing to men like painting, woodworking, and pottery. Other activities such as making jewelry, sewing or quilting, weaving, embroidery, and stitching could be our other options, especially if we already need Home Care Services. We don’t need to worry even if we haven’t tried any of these before because, after retirement, we have a lot of time to learn new things. Pets provide a comfort system to their owners. Caring for pets has been shown to help lessen the risk of hypertension and stress levels. So the best time to own pets is when we finally retire from our job. It is the period when we could spend more time tending to our pets while seeing their growth development. Retirement is the beginning of a new chapter of our lives. Let’s spend our days with fun and enjoyment while maintaining a healthy well-being. Convenience: The main benefit of our services is convenience. We offer a diverse selection of healthcare services that can be personalized to match your particular needs. This means we can help maintain your health right at home, to ensure you can keep on doing what you love. Affordable: You can receive many services like ours in a hospital, but staying there can cost a fortune. So when you are recovering from an injury, a surgery, or an illness, we provide a way for you to discharge early, while receiving the care you need right at home. This means you do not have to pay for an expensive hospital room. Recovering in your own house can also speed up the healing process as well. Around the Clock: Our services are available to you around the clock. No matter what time it is, we are here to provide you with the assistance you need. It does not matter if you require health care support or if you need personal care or other services. You can always count on us to be there for you when you need us. This means you can stop stressing out about the small things and start focusing on what makes you happy. Homemaking: Daily chores are a huge source of stress to anyone, especially senior citizens and for individuals with disabilities. These tasks can be draining and exhausting, leaving you with no energy or time to do what you love. However, we can actually handle this for you! We can do the cleaning, the cooking, and even running errands, completely at your convenience. 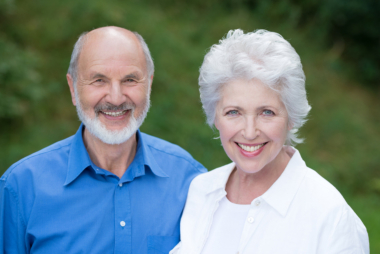 Our services allow you to live a less stressful life while improving your health and independence. If you are interested in learning more about how we can help you, please visit our website www.24hourscare.com today.